Geneva Taylor Lehnis was born May 29, 1931 in Tyler, Texas to Otis Clevland and Lottie Senora Taylor. 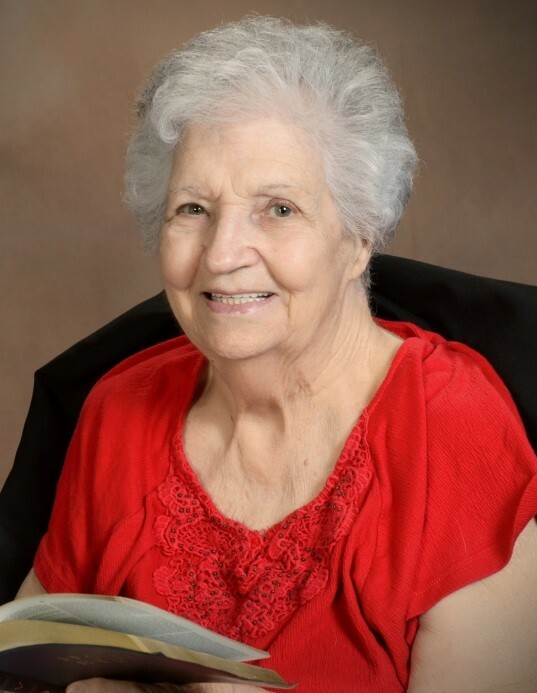 She went to be with her Lord on August 18, 2018. Geneva is preceded in death by her parents, Otis and Lottie; husband, James; daughter, Barbara; sister, Dorothy; brother, Quentin; sister, Grace; twin sister, Virginia; and sister, Maurine. She is survived by her son, John; daughter, Dallas and son-in-law, Ed, ; daughter-in-law, Alice; grandson, Jonathan; brother, Calvin; and sister, Patsy. Geneva will be remembered for her love for the Lord and her family. She enjoyed playing games and being a part of all her children and grandson’s activities. She was a longtime member of her local Eastern Star Chapter, where she faithfully performed her duties as secretary for many years. She was a sweet and loving wife, mother, grandmother, sister, and friend. She will be missed by all.